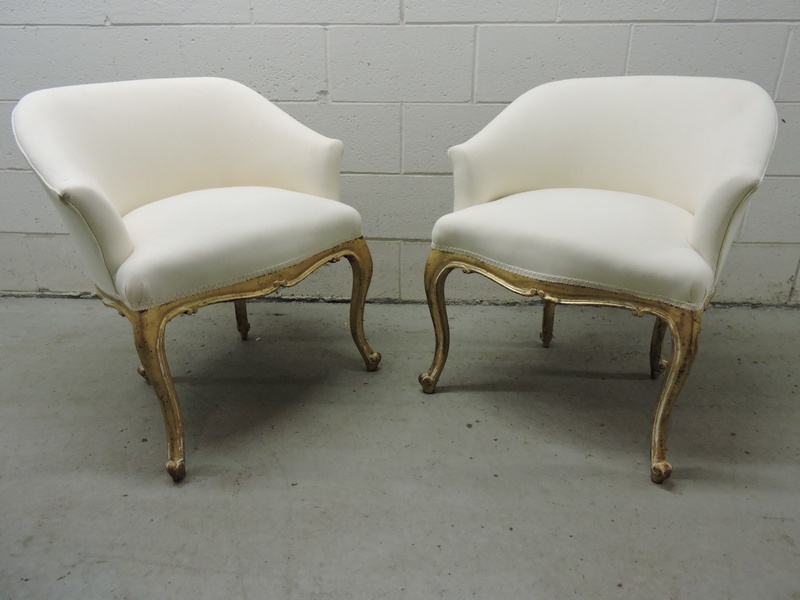 Pair of French low back chairs. Original finish. 100% linen.